Краткое описание: Anthem is a shared-world action-RPG in which players delve into a vast world teeming with amazing technology and forgotten treasures. The world is also filled with savage beasts and ruthless marauders where Freelancers are called to defeat the forces plotting to conquer humanity. In Anthem, up to 4 friends unravel the world’s mysteries and take on its most fearsome challenges together. Shared danger means shared glory, and successful Freelancers are all be richly rewarded for successful exploits. Throughout their adventure, players outfit their Freelancers with powerful Javelin exosuits, each of which are equipped with unique weapons and abilities. Players also customize their Javelin with gear they earn and craft throughout the adventure, and leave a lasting mark on the world. 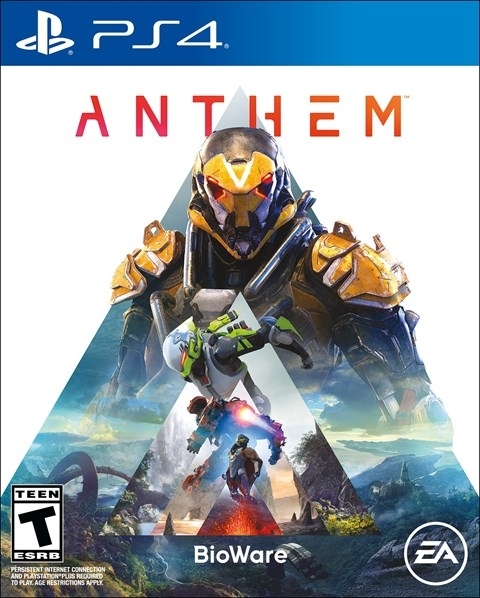 Anthem is a shared-world action-RPG in which players delve into a vast world teeming with amazing technology and forgotten treasures. The world is also filled with savage beasts and ruthless marauders where Freelancers are called to defeat the forces plotting to conquer humanity. In Anthem, up to 4 friends unravel the world’s mysteries and take on its most fearsome challenges together. Shared danger means shared glory, and successful Freelancers are all be richly rewarded for successful exploits. Throughout their adventure, players outfit their Freelancers with powerful Javelin exosuits, each of which are equipped with unique weapons and abilities. Players also customize their Javelin with gear they earn and craft throughout the adventure, and leave a lasting mark on the world.